When the NBA's incoming rookie class gathers for its annual first official photo shoot as a group of professionals, as they did earlier this month, there's a ton of fun to be had. The pictures range from serious to goofy, there are all kinds of fun interviews and the rookies are given a survey in which they vote for each other in a number of different categories. The most important of those categories concern a player's on-court production, naturally. And on that front, this year's class doesn't seem to be too keen on Los Angeles Lakers point guard D'Angelo Russell's overall prospects. The rookies voted Russell into a tie with Denver Nuggets guard Emmanuel Mudiay as the fourth most likely player to win Rookie of the Year, behind Jahlil Okafor, Stanley Johnson and Karl-Anthony Towns. Taking a longer look at Russell's potential career, Russell fell into the "others receiving votes" category for who will have the best career. 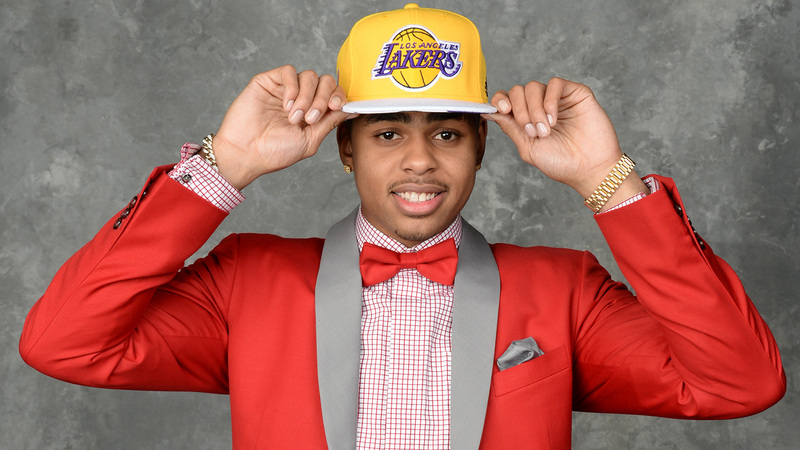 It wasn't all doom and gloom on the survey for the Lakers rookie, however. He cruised to the title of "Best Playmaker" with 40 percent of the vote.